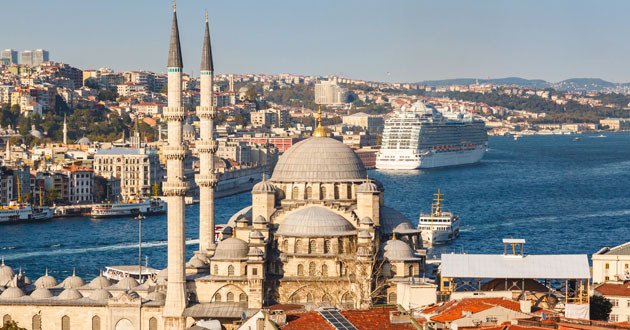 Does Cruising to Istanbul End? It’s a tough time now for one of the most amazing cities in the world: each terror attack in the streets prompts tourists to quickly turn their back and head elsewhere. Istanbul, and on a bigger scale Turkey, is facing a challenging time in its history. As the horrific attacks continue, many cruise lines made the decision to cancel calls in Turkey, out of an abundance of safety. Viking Cruises is one of the few lines that continue to sail out of Istanbul and to other Turkish call ports. For the cruise companies, recent attacks prompted them to cancel ports of call in Turkey, most notably Istanbul. The desire to protect passengers from potential harm is quite understandable, though the cancellation of visits to Istanbul casts an ugly shadow over such a beautiful city. Turkey’s problem is one of perception. While suffering from similar attacks, Europe is typically viewed as “safe”, while Turkey - as “a war zone” and “Middle East.” While other European parts struggle with the same terror, cruise business there is as usual, but for Turkey, they will not see those cruise ships coming over the horizon.